​Welcome to Lenny Boy Brewing Company - we are proud to be a part of Charlotte, NC's local brewery scene. Why does Culture Matter at Lenny Boy? We love building the culture at our Taproom by connecting people through art shows, weekly fitness events, non-profit events, documentaries, trivia, festivals and more. ​The culture at Lenny Boy motivates us every day to produce high-quality products. 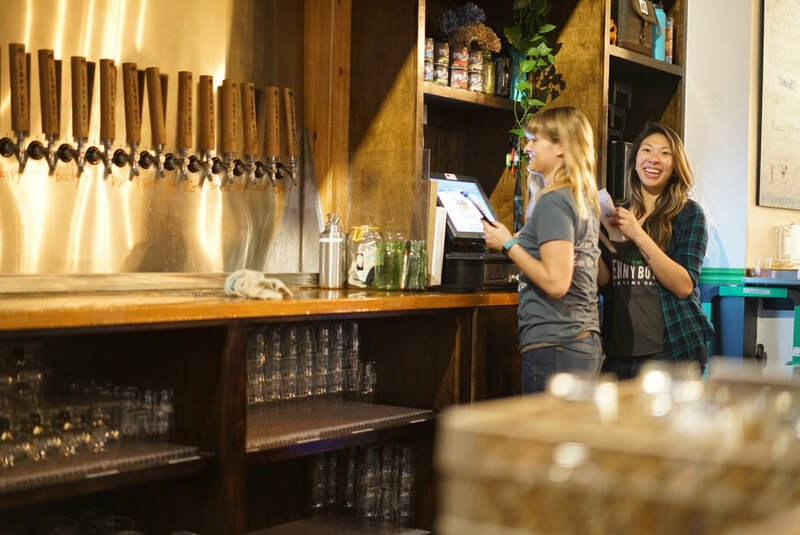 We offer a wide variety of beverages including organic kombucha, traditional ales and lagers, sours, gluten-free wild ales, and gluten-reduced beer. With plenty of alcoholic and non-alcoholic options - we offer something that everyone can enjoy at our brewery. We also offer a unique, craft food menu for everyone to enjoy while at the Taproom. We have a spacious taproom located in Charlotte, NC - where you can enjoy a pint or flight of beer and kombucha, an unique pretzel or custom sandwich. Also you can stop by the brewery to fill your growler, purchase a four pack, or buy a case of kombucha. We are proud to use high-quality, locally sourced, unique ingredients in all of the beverages we brew. Whether you stop by the Taproom, order from your favorite local bar or restaurant, or buy from a local grocery store - we are proud to brew a memorable beverage for you to enjoy. Find out what events are happening in our taproom, what we're pouring, and more. From organic kombucha to traditional beers and sours, check out what we're brewing. Want to book an event with us? Interested in selling our product? Contact us today. Join us in our taproom to enjoy fresh, local craft beer and kombucha. You can hangout with your dog on patio, enjoy one of our weekly fitness events, try our delicious food. We also regularly have live music.